The following is a review of the book Ronald Reagan: Destiny at His Side and corresponding study guide from YWAM Publishing with the TOS Homeschool Review Crew. 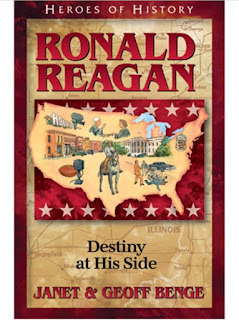 In addition to the book about Ronald Reagan, we received a download of the corresponding comprehensive study guide. A Homeschool Guide includes extensive suggestions for incorporating the Heroes of History books in history lessons, social events, language arts, writing skills, as read-alouds, a timeline of the biographies, and parent-directed as well as student directed study guides. The unit study includes quotes and related questions as well as outside links. Six chapter questions for each chapter include some for older and younger students. You can view all of their Unit Studies/Downloadable Curriculum Guides here. We love these books! I recently found a receipt that included the story of Gladys Aylward purchased in 2006, near the beginning of our homeschool years. Since then we have added almost one each year to our homeschool library. Each of these books can be read alone, by adults or children, or combined with their downloadable guides for a more in depth unit study. The character studies are one of the most beneficial parts, in my opinion. Long after reading the Alan Shepherd book, my son shared with me, after we turned into a Circle K, about Alan’s investments including Circle K.
I especially enjoyed reading about Ronald Reagan’s childhood. Known as Dutch, he started working very young and helped himself and his brother earn money for college. It was interesting reading about him training and working as a lifeguard, especially now that my oldest daughter has plans for lifeguard training this summer. We learned so much about him from childhood, college, then his radio show. Movie roles and then his presidency, the stories that make up his life story are rich. Janet and Geoff Benge have written the entire Heroes of History series which also included a story about Alan Shepard which my son especially enjoyed reading. They also wrote the Christian Heroes Then and Now series including one about Daniel Boone. We received a paperback book and a download link for the corresponding unit study for this review. You can connect with YWAM Publishing on Facebook, Twitter, and Pinterest, and find them on Instagram as @ywampublishing. 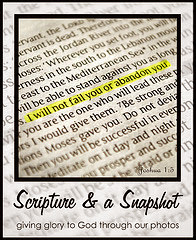 Click the image below to read more Homeschool Crew reviews of other books from YWAM publishing. I think it is amazing when we share history from our childhood with our children. Great review!